Featuring The General Havelock, Hastings Pier, The White Rock Hotel, The Palace. The sleek Pier comes into view, striding confidently into the sea with the profile of a slender long submarine riding the waves. Through the iron gates and the sheer space is exhilarating. Rejuvenated and modernist, the pier matches the literary definition that is ‘a structure built out into the sea to serve as a place to promenade’. During the year, the circus comes, children’s rides add laughter, concerts and raves beat out over the seafront. Fish and chips and finer dining and a coffee behind the glass windbreak on the bridge but most of it is the walk to the end of the pier for the finest view of Hastings and St Leonards. It is the best show in town. Back to the Pavilion and the opportunity for a well-kept pint of Harvey’s Best from the Bar but if you want to drink it outside, to ride the waves and soak up the sun, it will be served in a plastic glass. On a July day, it was a perfect spot for a perfect lunch, sharing good food, good beer and decent wine amongst friends. That’s Hastings life at its very best. 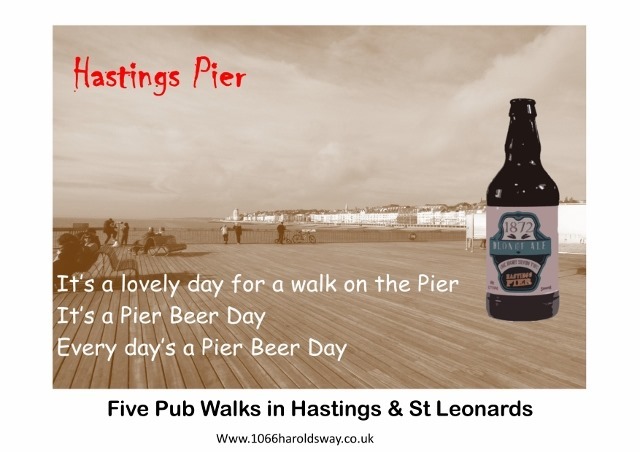 For something a little different, forgo the Harvey’s Best for a bottle of Pier Beer, specially brewed for Hastings Pier by Harvey’s but with different notes. 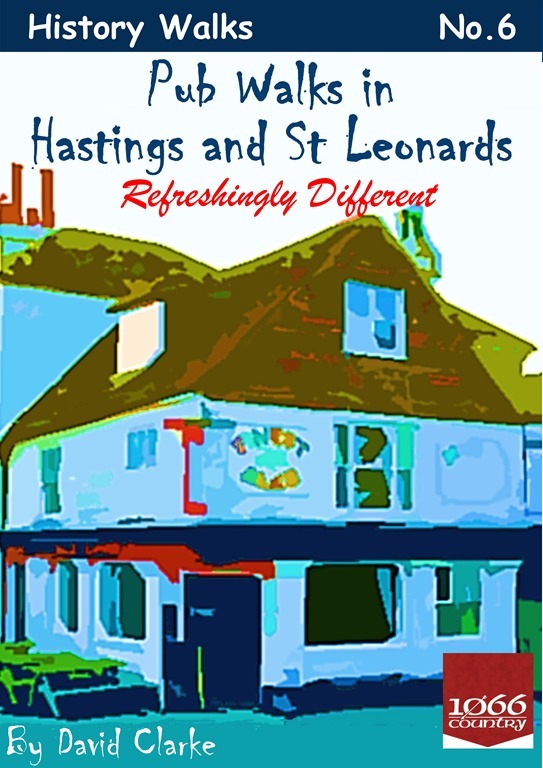 Pub Walks in Hastings and St Leonards.